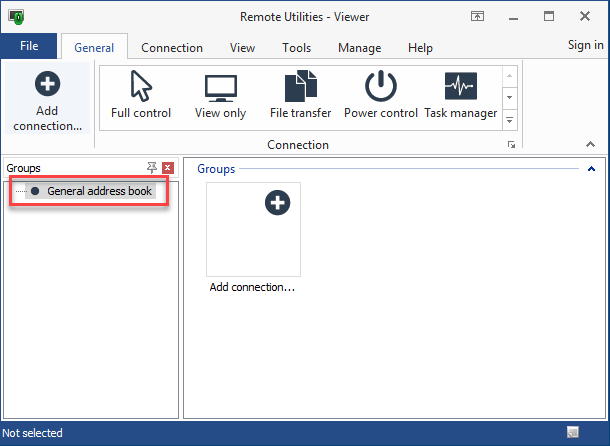 Note that removing an address book from the Address book manager does not delete the actual address book file – it remains on the disc. The remove operation only deletes the record in the Address book manager itself, that is the address book name and its associated path. 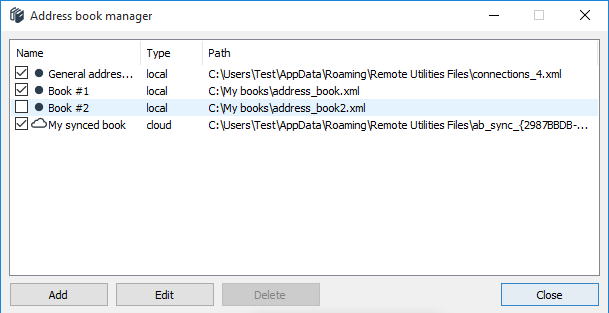 Since Viewer always stores your local address books (or copies of your synced books) locally you might need protection against a situation when your computer is compromised and someone gets unauthorized access to your address books. 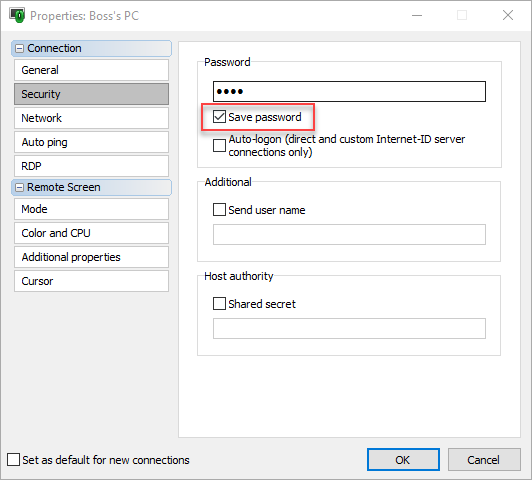 This is especially important if you use the Save password feature and keep your remote access passwords in connection properties. This is when local address book encryption can help. When it's enabled you are prompted to enter a passphrase every time you run the Viewer. The passphrase allows you to unlock your address books in the Viewer interface and work with them. Without the passphrase neither you nor anyone else will be able to open your address books even if they possess the .xml files of the books. Important: The local address book encryption is just an option and has nothing to do with other types of protection provided by Remote Utilities and specifically with the data transfer encryption. 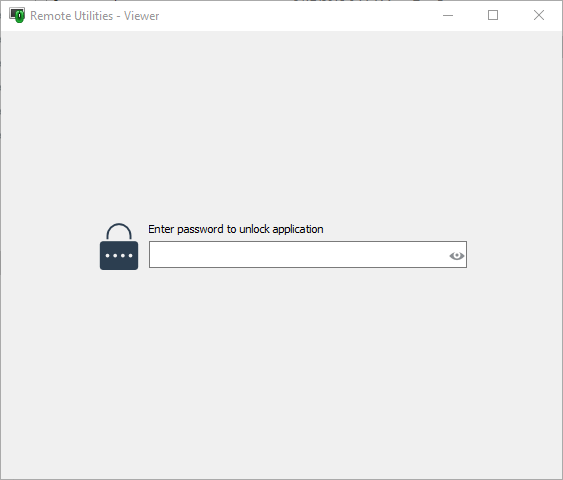 Remote Utilities connection between Viewer and Host/Agent is always encrypted and this type of encryption cannot be turned off. 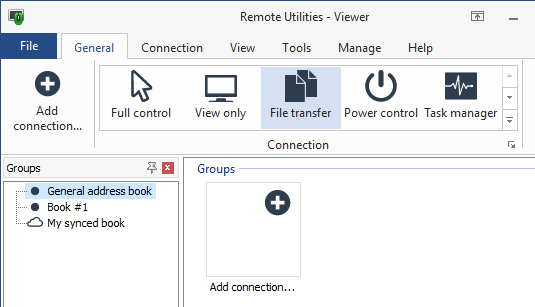 Learn more about Remote Utilities security here. 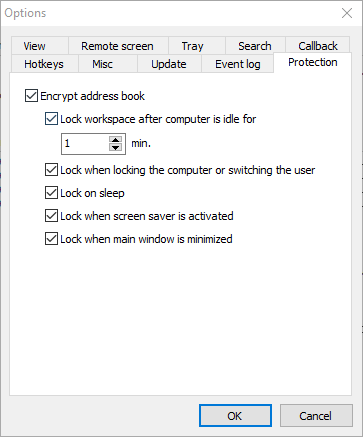 To enable address book encryption navigate to the Tools tab, click Options and select the Protection tab. In addition to encryption itself you can set options such as "lock on sleep", "lock on minimize" etc. that define the scope of this feature. For best possible protection you might want to enable all additional options in this tab. Note: If you need to disable encryption or change the protection options later, you will need to provide the current passphrase. As always, we welcome your questions and suggestions. Feel free to post on our community forum or write to us directly.